Grand Bargain or Raw Deal? Many elderly Americans are close enough to poverty’s edge that Social Security cuts of any size could push them over the brink. Following the government shutdown drama, politicians in Washington appear hopelessly divided, according to conventional wisdom. Fair enough. But there’s at least one area where many politicians from both of the major parties agree — and many of the TV talking heads and newspaper pontificators are with them, too. 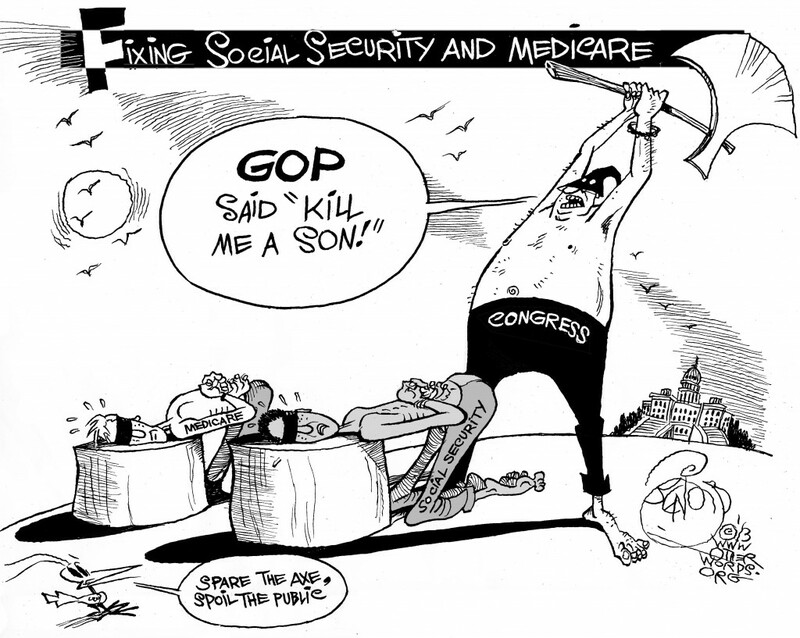 Social Security, they insist, “needs” to be cut. That sure sounds like a good thing. Who doesn’t love a bargain? Well, here’s the question you should ask yourself: Who’s actually getting one? It’s more likely than not that the savings aren’t headed your way. Pundits and journalists cheer this talk of a “bargain,” and they praise politicians — especially Democrats — who have the “courage” to back such cuts. For the past few decades, politicians and pundits have ginned up a “crisis” over Social Security’s finances. At this point, you can say almost anything about Social Security and get away with it.